Without communication then your club will fall apart and no one will know what they are supposed to be doing and when. 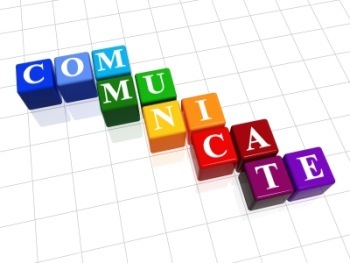 Communication is vital to your clubs running, and there are many ways in which this can take place. Its a good idea if your club has a regular newsletter that is given out to parents informing them of everything that’s happened and what needs to happen in the near future. This written way of communication means its down in black and white for all to see and know about. Normally every month your club should hold a parents meeting. Here suggestions by parents can be made to the coach and the manager about the way the club is ran, and also suggestions from the management staff can be made to parents. An AGM (Annual General Meeting) should also be held every year to make major decisions. Minutes of the meeting should be taken to make sure there is a record of who said what! Verbal communication is the most common, and the easiest to do, but there are a few problems with it. Language used is open to interpretation, and some of the things you say may not be so clear to one person as it was the next. If its not written down then people can forget more easily! Most people can tell when someone is angry or annoyed, and when someone is happy and celebrating. However body language isn’t easy to read, so try and keep this to a minimum on its own. However when you are saying something, and you need to try and get more of a point across then body language can be used as backup!